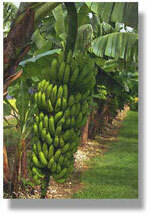 Bananas are becoming more popular everyday, there fun to grow and one of the easiest ways to create a tropical setting. 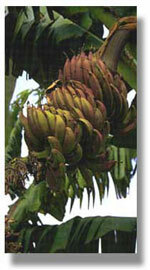 Very quick to mature, most bananas produce in their second year when given care. 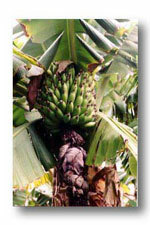 Known for their delicious fruit, their many tastes and textures, most are better than those purchased at the market. 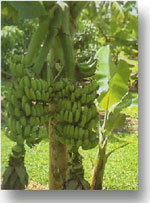 All bananas love full to partial sun and generous amounts of water and fertile soil. 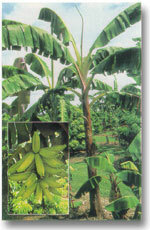 A regular fertilizing program is highly recommended to maintain productive healthy growth and to produce the largest bananas possible. 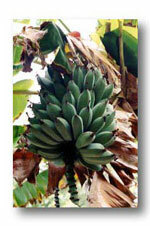 When starting bananas from a corm, it is always essential to have good drainage. 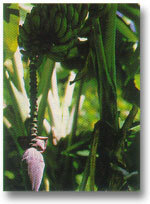 The soil should be slightly moist not soggy. 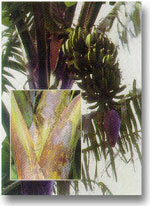 Careful monitoring of water is a must in the rooting stage to avoid rotting. 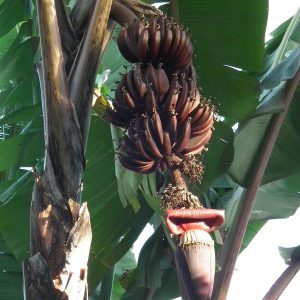 When container planting we recommend that you give at least 3″ to 4″ of space between the corm and the sides of the container or it can be planted directly in the garden when temperatures reach 50 degrees or warmer.